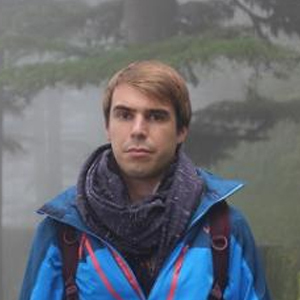 Mathieu Ferry is a PhD candidate at the Observatoire Sociologique du Changement (Sciences Po) and he is affiliated to the Laboratoire de Sociologie Quantitative (GENES-CREST). His dissertation centres on the social stratification of food practices in India. 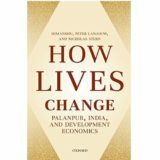 He is part of the ‘Sociology of inequalities in India’ seminar (EHESS, Paris), along with Joël Cabalion, Odile Henry, Jules Naudet and Olivier Roueff (see https://enseignements-2017.ehess.fr/2017/ue/2075//). ‘Cow Terrorism’, Books and Ideas, 26 March 2018. ISSN : 2105-3030. URL: http://www.booksandideas.net/Cow-Terrorism.html. (with Jules Naudet and Adrien Allorant), ‘Heirs, corporate aristocrats and ‘Meritocrats’: the social space of top CEOs and Chairmen in India’, Socio-Economic Review, 2018, vol. 16, n° 2, p. 307-339. (with Jules Naudet and Olivier Roueff), ‘Seeking the Indian social space: A multidimensional portrait of the stratification of Indian society’, South Asia Multidisciplinary Academic Journal, 20 février 2018. URL: http://journals.openedition.org/samaj/4462. (with Odile Henry), ‘When Cracking the JEE is not Enough: Processes of Elimination and Differentiation, from Entry to Placement, in the Indian Institutes of Technology (IITs)’, South Asia Multidisciplinary Academic Journal, 2017, vol. 15. URL: https://samaj.revues.org/4291.